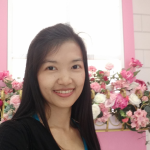 - I have been teaching Thai language for 4 years and I've given 3,000 hours of lessons. - I will build an online file and take notes during the class that you can actually see in real time and can engage with. You can use these notes for reviewing at your convenience. - If you are a tourist, I would like to offer short courses for you and you can choose all topics or just one. The teaching Thai to Foreigners Training. What Thai songs do you like to listen or practice your Thai?